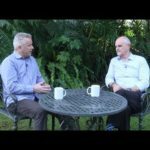 In this second edition of the “Innovative finance for sustainable landscapes” interview series, we hear from two sustainable finance experts from the Netherlands Development Finance Company (FMO). Steven Duyverman is a manager in FMO’s Agribusiness, Food and Water department and Charlotte van Andel is a senior environmental and social officer in the same department. Working in inclusive and green finance, FMO is ramping up its investments in the forestry sector. Duyverman and Van Andel reflect on how to apply their experience at the landscape level. How do you define ‘inclusive finance’ and why is it important? Making finance inclusive is about reaching the bottom of the pyramid, so to speak, directly or indirectly. It must also focus on those so often left behind – the vulnerable, women, indigenous peoples and other marginalized groups. It is about increasing local employment, especially for the poorest, with decent and sustainable jobs that help improve local economies and reduce inequalities. In forestry, outgrowers and employees, who are recruited locally to the largest extent possible, receive training. They are made aware of health and safety aspects, like using protective equipment when pruning or spraying. This equips them with skills and helps to ensure better livelihoods in the long term. 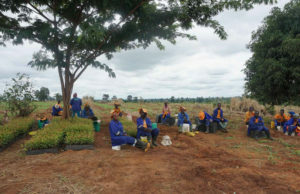 Women are empowered and are often also seen as being more reliable and precise in certain tasks, such as in tree nurseries, allowing them to gain new knowledge and increase their own incomes. 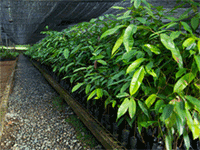 With our forestry investments, we create 30–50 new jobs per 1,000 hectares of new plantations established. At the end of the day, FMO was established nearly 50 years ago not only to make money but, importantly, to create long-term development impact and to improve environmental and social conditions in the countries where it operates. What are the underlying reasons for the underfinancing of agricultural and forest businesses in developing countries? One reason for underfinancing in the forestry sector is the reluctance of many to invest in a new sector, with long payback periods and unknown risks, in developing countries. For energy projects, for example, revenue streams and returns only come two or three years after the investment has been made. But investing in forestry requires a different view on cash flows, because even on the shortest cycles, it takes eight, 10, 12 years to start generating income from selling a marketable product (i.e. construction wood, electricity poles or wood chips), and before investors start to be repaid. In such new markets, the risk is inherently higher than in more well-known investments with much shorter payback times that are perceived as ‘safer’. This does not just concern financial risk, but also – and inherent in inclusive finance – social and environmental risk. Establishing timber plantations is also a high-impact investment, and one of the cheapest means to make significant changes in mitigating climate and improving local economies and communities. However, given the complexity of large landscape-level forestry projects, getting these approved and implemented takes time. But we are gaining more experience in the sector, so we trust that efficiency will improve. Another key issue for foreign investors is that working with local smallholders is difficult, as for them formal titles over the land they farm or want to reforest are sometimes impossible to acquire, and of uncertain legality if they do exist. Local authorities and land users sometimes have quite different views on what is needed, indicating that more dialogue is needed to increase understanding among all groups involved. What are we not doing right, or not doing well enough, or not doing at all? There is no right or wrong, but it is very important that we strive for sustainable development. That also means that we must ensure that business models are sustainable. Viability of a project requires financial, environmental and social standards to be met. For example, we require all our forestry clients to be Forest Stewardship Council (FSC) or Program for the Endorsement of Forest Certification (PEFC) certified. 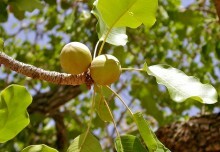 We see that with a structured approach, income is created, deforestation is reduced and biodiversity improved. As a consequence, people have new alternative sources of cash income rather than depending on illegal charcoal making or poaching. At the same time, having additional income also tends to enhance development and security in local communities. Our strength lies in catalyzing other partners; hence we need partnerships, partnerships and more partnerships to more effectively progress in the reforestation of degraded land. But for alignment reasons, we also require the support of governments to politically back up plans for land reforestation and to aid where adjacent commercial plantation forestry can be developed as a future mitigation toward deforestation. We need more cooperation and collaboration, between us as a development finance institution and the private sector, with UN organizations, with national governments and their departments, with NGOs and civil society. To successfully nurture opportunities for growth in the restoration economy, cooperation of technology startups, smallholder finance and timber companies open doors to inspiring venture capital, private equity and impact investors who may know little about such landscape restoration opportunities. 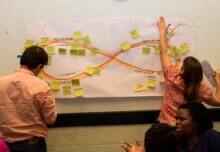 How is your organization addressing inclusive finance, and what are your experiences and key lessons? At FMO, we provide ever more loans and equity to support projects with landscape-level objectives, and that have social and environmental benefits at their core. We have learned to include contextual risks. This triggers an early focus on risks outside the influence of our project, on how to better ensure indigenous peoples’ rights are respected, including land ownership and user rights, and using stakeholder engagement safeguards even more. We now also realize that it is not always possible to be able to do the right thing at the right time. Circumstances can be such that land issues cannot be fully resolved, or that human rights defenders are threatened, or that deforestation still takes place around the client’s activities. In such cases, we have developed ‘early warning systems’ and if seen to be so, we decide not to invest in unsustainable projects. Companies that we invest in must have good and transparent relationships with local and legal authorities that have influence over forests and landscape. We also expect them to hear the voices of the people, of local communities, and to fully assess their needs. This means they must invest considerable time from an early stage, and talk to all involved, communities and traditional leaders, occasional users such as nomadic pastoralists, district and forestry authorities, NGOs or knowledge partners. Going full circle, we also never forget local legislation, such as on forest protection, but also deal with the livelihood impacts of (illegal) users according to the World Bank’s International Finance Corporation (IFC) Performance Standards. Squaring that circle is not always easy. But only then can we add value and have the impact we are looking for. One key lesson is that we used to give a lower priority to stakeholder engagement when we focused on returns. But now, at the very start of every investment, we expect companies to start talking with communities to get them to really understand the expected and potential changes, and agree in advance on how benefits can be shared. These include local job opportunities, training in pruning, use of fertilizers and safe pesticide application, and building roads, which can also initiate a village market, access to healthcare and schooling. What examples do you have of successful or promising ‘model’ approaches or innovations? 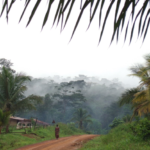 In Ghana and Sierra Leone, FMO is supporting a project that has reforested 10,000 hectares of formerly degraded land since 2013 and is working toward adding up to another 9,000 hectares of new plantations. In Laos, we are funding the expansion of a forestry plantation from 3,400 to 15,000 hectares, including investment to support the building of a new sawmill and wood-processing facilities. This is another example of how we are implementing an integrated, long-term investment strategy. 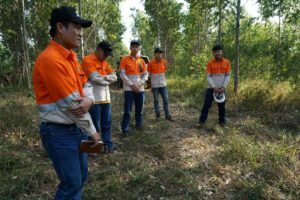 Helping to establish such large areas of forest plantations is also helping FMO achieve its aim of becoming carbon neutral, in line with the Paris Accord. For now, FMO has approved investment of around €40 million a year in new forest plantations. Innovative financial products are necessary, as repayments may only start after 5–7 years, so in the early years there will be no cash flow available to pay even the interest on the loans. Furthermore, training is an important tool that builds knowledge, but also helps companies to ensure that environmental and social concerns are integrated into their processing system. So, we also provide financial support for analysis, studies, training and implementation, for instance for more efficient use of scarce water resources and for waste-water treatment. What is your vision on how best to increase finance and investment in sustainable forestry and farming? The most important single factor that would increase investment is to support systems for registering and securing land rights, so that smallholders and foreign investors alike have formal ownership titles for the land they farm or want to plant with trees. And, of course, this is not just a need for development banks – it is a basic need for all land holders, independent of any future investment. Without formal titles, smallholder options are limited in many ways. We work for a future where international development finance is no longer needed, where sufficient capital is available nationally, to support the establishment and growth of sustainable businesses in all sectors. And we also hope to see that environmental and social standards widely implemented in developed markets are also fully accepted in emerging markets and developing countries. In that future, we expect old and new forms of finance to blend seamlessly, also mixing traditional approaches with the use of new technologies, working toward a circular and inclusive economy. This is what we are striving for. But just as it takes time for trees to grow, it will also take time to find the most inclusive way of investing in this sector. We are already seeing shifts. By Nick Pasiecznik, Tropenbos International. 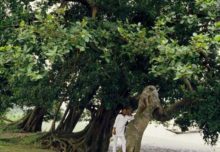 This article was produced by Tropenbos International and the Center for International Forestry Research (CIFOR) as part of the CGIAR Research Program on Forests, Trees and Agroforestry (FTA). FTA is the world’s largest research for development program to enhance the role of forests, trees and agroforestry in sustainable development and food security and to address climate change. CIFOR leads FTA in partnership with Bioversity International, CATIE, CIRAD, INBAR, ICRAF and TBI. FTA’s work is supported by the CGIAR Trust Fund.